Searching the hedge rows for food and info! Would you know what to look for in a country hedge row if you were told there were edible and informative plants growing? I certainly wouldn’t have until I went on a foraging walk organised by Woodland Ways. Kevan Palmer, an instructor at Woodland Ways, took a group of Adventure Travel Film Festivalers on a foraging walk around our camp site. It’s such a great skill to learn when going on adventure motorbiking trips or walks around the countryside. 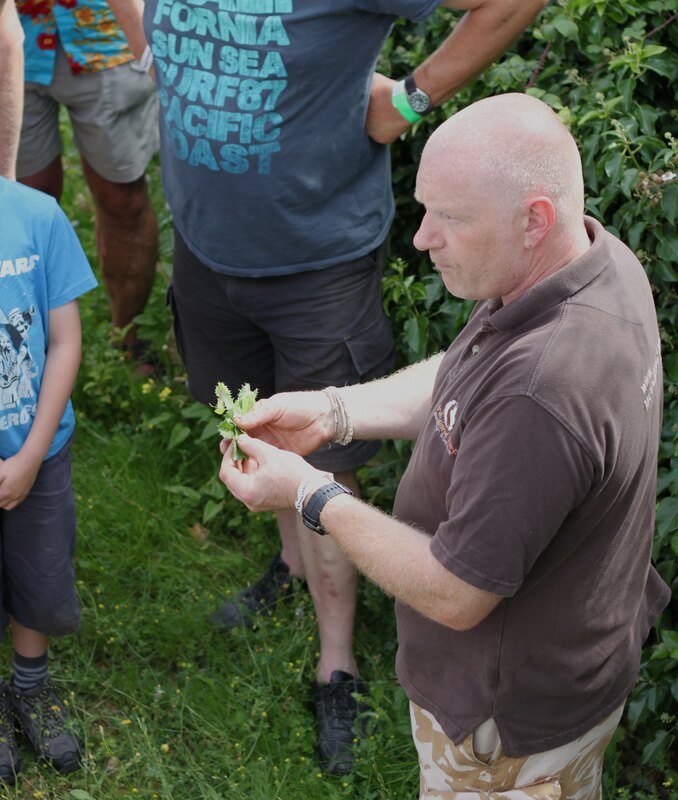 Kevan started with a ‘health and safety’ talk which explained when, where and how to start foraging. The main tips I picked up were: have a look around the surrounding areas and be careful picking and eating plants close to main roads where car fumes have been polluting the air. You don’t want to eat dirty plants… and that leads onto the second tip. Could animals or humans have used the hedge as a toilet? The hedgerow where we were was furthest from the campsite toilets and therefore was likely to have been used as a night time relief spot…! 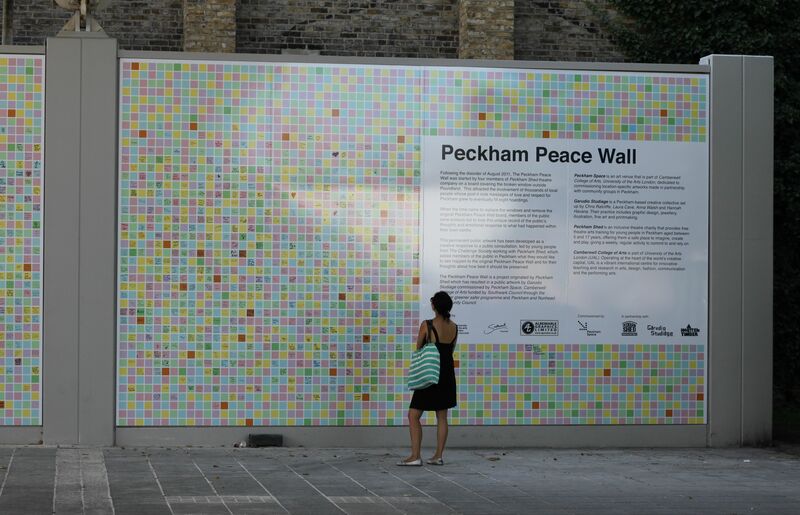 We learnt a huge amount but here are my favourite learnings. Roses are really pretty and smell lovely but they are also edible. 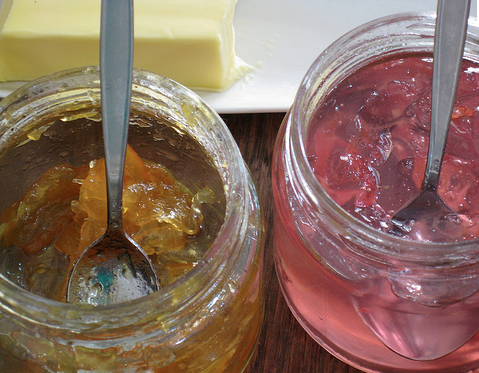 The petals vary in taste; spicy, tart or sweet and although Kevan recommended making jam from them, you can also use them to garnish salads or flavour butter. Be warned though, roses bought from a florist are unlikely to be edible. Only eat roses found growing wild in the countryside. 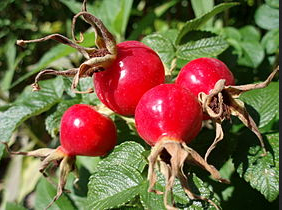 You can dry them and eat like a dried cranberry or make rose hip tea and rose hip jam from them. 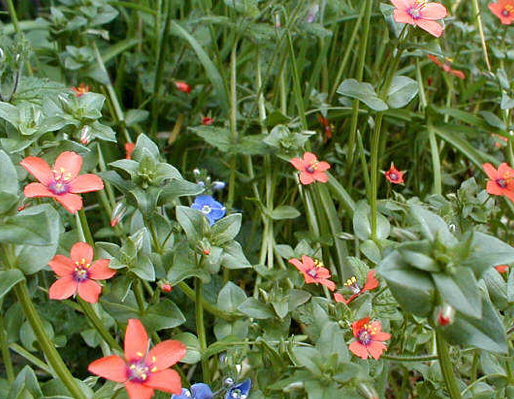 Scarlett Pimpernel consists of small, red flowers which open when it’s going to be sunny and closed when it is going to rain. Known as the ‘poor man’s weather glass‘ the plant is a great way to predict what the weather is going to be like. It may not be the best forecast tool but the open flowers are pretty and mean sunshine. Note: this plant is not edible! Am I the only person who thinks of Sloe Gin when sloes are mentioned? Luckily I definitely wasn’t the only one on this foraging walk. 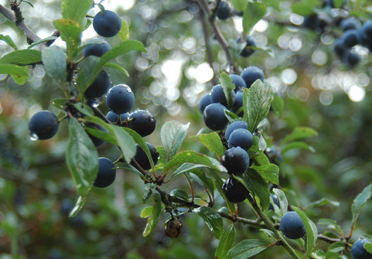 Sloes are the fruit of the blackthorn tree and are a great fruit to pick in the autumn. One of the last fruits to remain on the trees before winter, they allow the forager plenty of opportunity to harvest. Kevin explained the best way to pick sloes is to identify them in May when the flowers are out. The white flowers are very easy to spot, unlike the fruits which hide themselves amongst the thorny plant. Once they are picked, ‘after the first frost’ prick them with a toothpick to help bring out the flavours then bottle them with gin. If the ‘first frost’ is very late (which it tends to be these days) you can pick them and put them straight in the freezer. Here’s a recipe for sloe gin. 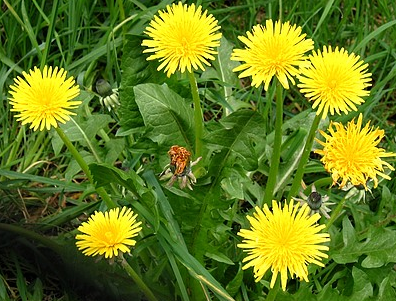 The word dandelion comes from the French meaning ‘lion tooth’ which relates to the shape of its leaf. I had always thought of it as a common weed and had no idea of it’s health benefits. Dandelion leaves are a rich source of vitamins and good for digestion. Eat the leaves in a salad or put them in water and drink it as a tea. 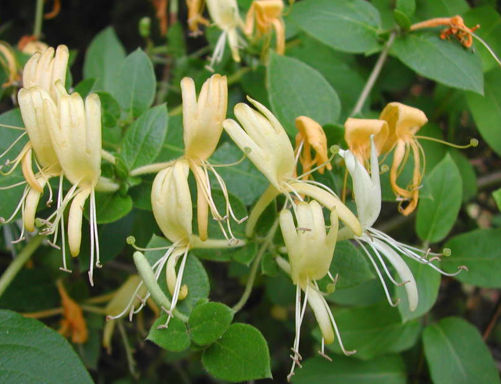 I’m sure most children have spent some time sucking the nectar out of honeysuckle. Not only do the flowers taste good, the leaves and can be cooked and eaten as a vegetable. Both the flower and leaves act as a good anti-bacterial. Don’t use once it’s mature and tanines have developed though – then it becomes not good for you. Enjoyed hearing my insights? 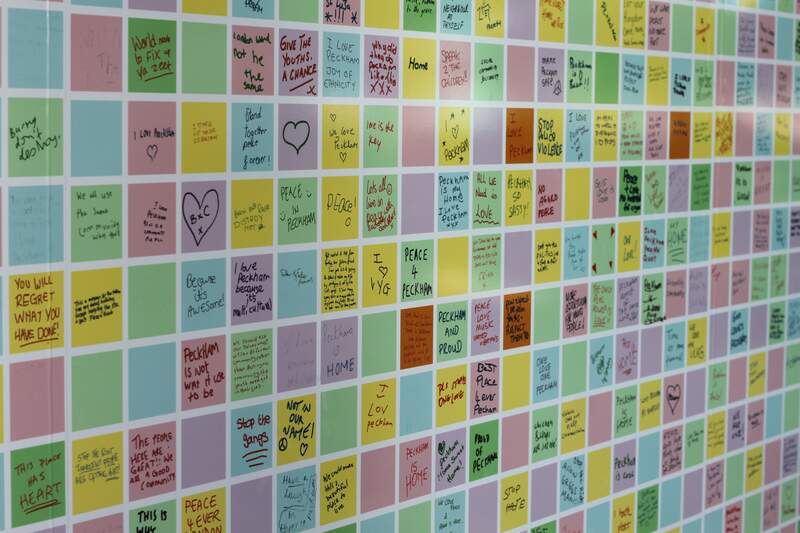 Why not sign up on your own course here?